This is truly one of the most beautiful and great ballets. 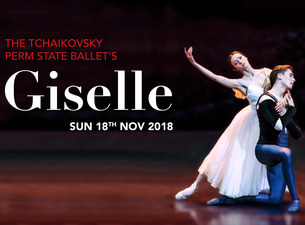 First performed in Paris in 1840, GISELLE is universally considered the world’s most romantic ballet. The Tchaikovsky Perm State Ballet’s traditional production, sympathetically accompanied by the wonderful RTÉ National Symphony Orchestra to Adolphe Adam’s original score, will leave a lasting impression.